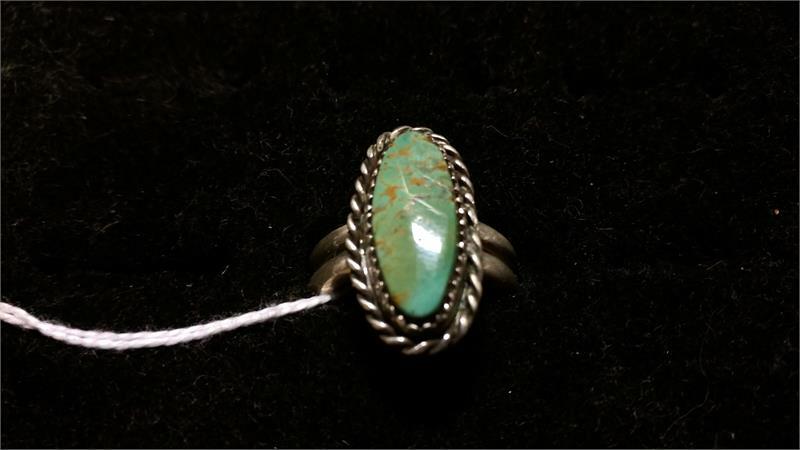 Sterling silver and oval turquoise ring by Joe Fish, aka Stumbling Bear. This ring is approximately size 11. As with the other items, this is one of the last made by Joe before his stroke.